The FIA Formula E Championship, the world’s first fully electric racing series, blasted off the grid in 2014 and is driving the future with its fusion of motorsport and entertainment. Representing a vision for the future of the motor industry, Formula E serves as a platform to showcase the electric vehicle and drive the conversation on clean energy and sustainability. 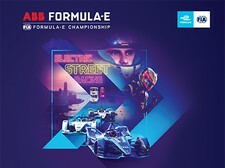 Under the core values of Energy, Environment and Entertainment, the FIA Formula E Championship is designed to appeal to a new generation of motorsport fans and bring the sport straight into the hearts of some of the world’s most dynamic cities on exhilarating, temporary street circuits. 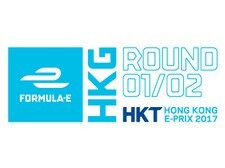 The inaugural season began in Beijing in September 2014, and finished nine months later in London, where Nelson Piquet Jr. made history as the first ever FIA Formula E Champion. This year’s second season once again covers the globe, with Beijing awarded the opening honours in October. From Beijing, the championship travels to Malaysia, then to South America for races in Uruguay and Argentina, before moving to the United States for a race in Long Beach, California. Races in Paris, Berlin and Moscow are on the cards, with London once again hosting the season finale.